DOPO LA MANIFESTAZIONE DEL 7 FEBBRAIO LA REGIONE LAZIO SI E' IMPEGNATA A L'AVVIO DI UN TAVOLO CON L'INPS PER AFFRONTARE IL TEMA DELLA TUTELA DI TUTTI GLI INQUILINI COLPITI DAL PROCESSO DI DISMISSIONE. 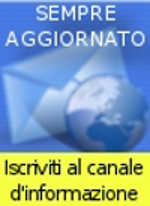 SONO TRASCORSI DUE MESI E ANCORA L'INCONTRO NON E' STATO CONVOCATO, QUESTO MENTRE PASSANO I GIORNI E STANNO SCADENDO I TERMINI ENTRO I QUALI GLI INQUILINI DEVONO RISPONDERE ALLE LETTERE. 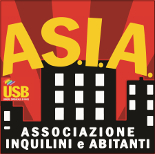 L'ASIA-USB INVITA GLI INQUILINI AD UNIRSI ED A MOBILITARSI PER DIFENDERE IL DIRITTO ALLA CASA E PER IMPEDIRE LA SPECULAZIONE SUI NOSTRI ALLOGGI DA PARTE DELL’INPS, UN ENTE PUBBLICO. L’ASIA-USB STA LAVORANDO PER CONTRASTARE L’IMPROPRIA APPLICAZIONE DEI PREZZI DELL’OMI, LE INGIUSTE RICHIESTE DI ARRETRATI E DI AUMENTI DEGLI AFFITTI. COMITATO DI LOTTA PER LA CASA “MAGLIANA NON SI SFRATTA"